Julianne + Ryan | Wedding Trailer | Trumpets on the Bay, the Hamptons from Stephanie Vermillion Studio on Vimeo. Thalita and Damir | Wedding Trailer | The Rockleigh, New Jersey from Stephanie Vermillion Studio on Vimeo. Kelly and Chris | Long Island, New York Engagement Film from Stephanie Vermillion Studio on Vimeo. It’s all happening. The love of your life popped the question (or said yes – yay! ), you’re finally getting used to that beautiful new bling (although, let’s be real, you still can’t stop staring), and you’re in the throes of planning the biggest day of your life. What an exciting time! But it’s also a busy one, and you have zero time or patience to figure out overly complicated wedding videography packages when you’re juggling five million other responsibilities. At the end of the day, you really just want the chance to relive every moment of your wedding, from the intricate fresh peony arrangements to the tiny tears forming as your old man walks you down the aisle. And let’s not forget you “killin’ it” on the dance floor with your bridesmaids! That’s where I come in, and my wedding videography promise to you is simplicity. My second promise? You'll tear up the first time you watch your wedding film! From day one, we'll have an open line of communication where you have direct access to me for any and all questions about your big day. Once your wedding day arrives, I won't be in your face with my camera. In fact, you'll hardly know I'm there. With a journalistic background, it's my goal to capture your unique, authentic story in an unobtrusive and candid way. That's how I capture the true emotion and deliver a wedding film that makes your heart skip a beat. What’s included in the basic wedding video package? Option 1 – Highlights Package: A 5 to 7-minute cinematic highlight film that emotively tells the story of both your big day and your relationship as a whole; in the words of my former brides, this video is bound to “give you the chills” or “make you cry” – in a good way, of course! Option 2 – Extended Package: This includes 1) highlight film as mentioned above, and 2) a 30 to 60-minute feature film that chronologically replays key moments from the day, including bridal prep highlights, the full ceremony, first look (if applicable), photo session highlights, full speeches and full dances. This option will ensure you remember everything from your wedding for the rest of your life! Raw Footage – If you’d like the raw, unedited clips from your wedding day, I can supply those as an add-on. These will be delivered via hard drive following delivery of the final, edited film(s). Engagement Video – Get your wedding guests excited well before the big day with a quick, 1 to 2-minute “save the date” style film, captured during your engagement photo session. This mini film is perfect for your wedding website! A complimentary 1-minute teaser film delivered no more than 2 weeks following the wedding – great for social media! Top-quality gear, including two cameras, lavalier microphones, a stabilizing gimbal, etc. Confirming: Let’s say we totally click and you’re ready to bring me on for your wedding video (insert happy dance!). We’ll set everything in stone with a contract followed by a deposit to lock down the date (1/3 of your total package price) due within 15 days of signed contract. Timeline: Prior to your wedding (usually two to three weeks out), I’ll work with you to create a timeline with key wedding day moments so we’re aligned on where I’ll be filming when. Wedding day: It’s here! It’s here! This is the fun part – I grab my camera, bring my gear and get to filming. We’ll decide ahead of time where you need me when, so on this day – the biggest day of your life! – you won’t have to worry at all about me. Trailer film delivery: Within two weeks of your wedding, I will deliver (via email) the complimentary one-minute teaser film so you can relive the day and share the fun on social! Film delivery: Timing will depend on what package you select, but within a few months of your wedding, I will deliver the final product your way via filesharing service Google Drive. See – I wasn’t lying when I said simple! The last thing to note is, while not listed above, you have direct access to me throughout the months leading up to your wedding day. If you have any questions, shoot! You’ll hear back from me and only me (again, not some automated response) to make sure you’re ready, set and totally relaxed ahead of your day! Pre-wedding prep: This includes our dialogue, timeline building, etc. Editing: Video editing takes a good chunk of time, including video and audio analysis, creative story mapping (deciding how to tell your story in an engaging way! ), song selection and licensing (I license all music), color correcting, exporting, etc. Film delivery: I use online platforms like Google Drive (paid) and Vimeo PRO (a video sharing website used by professionals) to deliver your wedding film in a safe and high-quality format. With that, my wedding video packages start at $3,500. If interested, please reach out and I can share my wedding package pamphlet with further information! 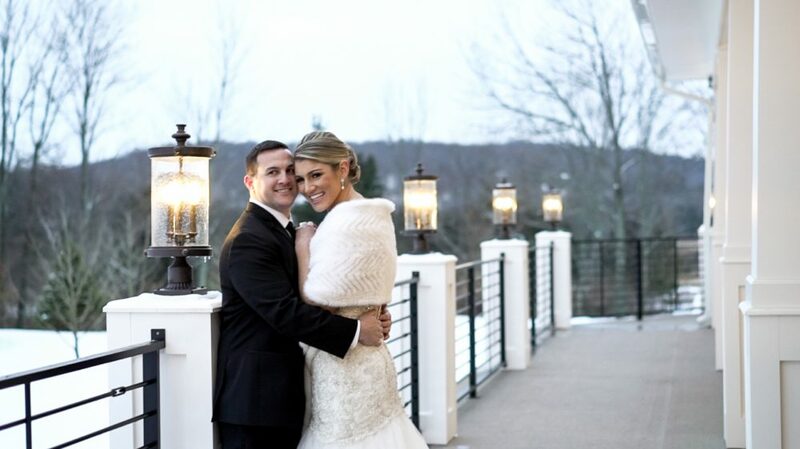 “I was beyond lucky to have met Stephanie through a mutual friend and had her as my wedding videographer. I didn't want a videographer up until two weeks before my wedding, and when Stephanie and I connected I knew she was a perfect match. We both joked how we hated seeing videographers in the poor bride and groom's faces all night, and she completely understood my vision. When I met her the morning of my wedding it was like I was embracing an old friend.